Padukone had on Tuesday hit out against those protesting the release of 'Padmavati' and reportedly said that 'we've regressed as a nation'. Organisations like the SRKS have been protesting against the release of the film, claiming that it distorts history and hurts sentiments. Mumbai: The Mumbai Police on Thursday beefed up the security of actor Deepika Padukone after Shri Rajput Karni Sena (SRKS) warned of physical harm in case she did not refrain from "inciting public sentiments", a senior official said. 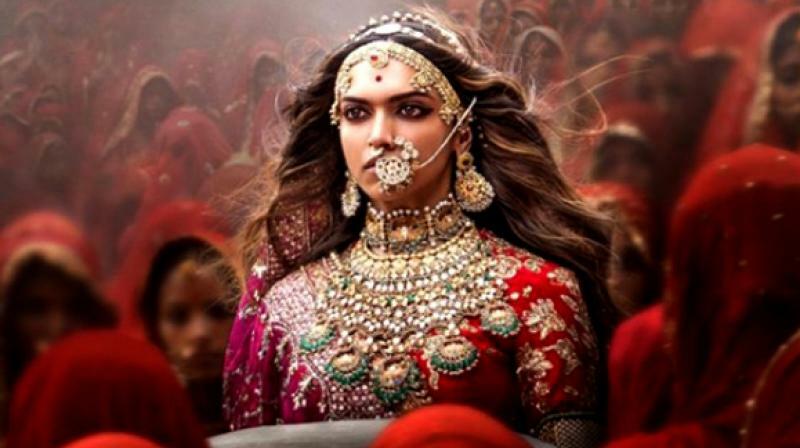 Karni Sena leader Mahipal Singh Makrana on Thursday invoked the nose chopping of 'Surpanakha' in the epic Ramayana and said if the Bollywood film "Padmavati" was not banned and Padukone does not refrain from fanning sentiments with her provocative language, the Rajputs will not lag behind in acting. "The Mumbai Police have increased actor Deepika Padukone's security after the outfit issued the nose chopping threat," Joint Commissioner of Police (Law and Order) Deven Bharti said. We are providing her adequate security after the threat, he said. The police will also provide security at the actress' residence as well as office in Mumbai. They have already provided protection to filmmaker Sanjay Leela Bhansali after the Rajput community outfit protested outside his office in suburban Juhu last Saturday while accusing him of distorting historical facts in the history drama. Police have beefed up security at Bhansali's residence in Versova. The SRKS has called for a country-wide bandh on December 1, the day the film is slated to be released. In January this year, the SRKS had attacked the sets of the movie in Jaipur and even slapped Bhansali. Earlier on Thursday, Maharashtra Minister of State for Home Ranjit Patil said that the government was assessing Padukone's security in the wake of the threats. "We have already provided security to Sanjay Leela Bhansali as he was found to be at risk. Now a security assessment of Deepika Padukone is being done. If she is found to be at risk, adequate steps will be taken. However, nobody's threat can be taken at the face value until the government assesses it," he said. Padukone had on Tuesday hit out against those protesting the release of 'Padmavati' and reportedly said that "we've regressed as a nation".